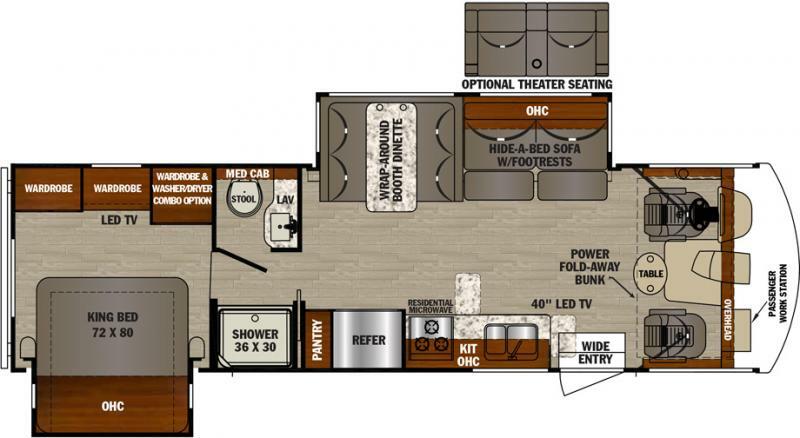 New 2019 Forest River FR3 30DSF Class A Gas Motorhome with rear king bed in slide out with overhead cabinets and wardrobes. The split bath in front of the bedroom has a 36 x 30 shower. The kitchen has custom countertops and countertop extnsions. There is a wrap around booth dinette in the slide out across from the kitchen. Fold away bunk under the driver and passenger seat.